Pratap Bhawan was designed by the architecture of havelis, structures typical of Rajasthan. In the lobby, the marble staircase leading to the 9 rooms of which the last is on top of the roof, giving the occupants a beautiful and enchanting 360 degrees view on the lake and the old town nearby. 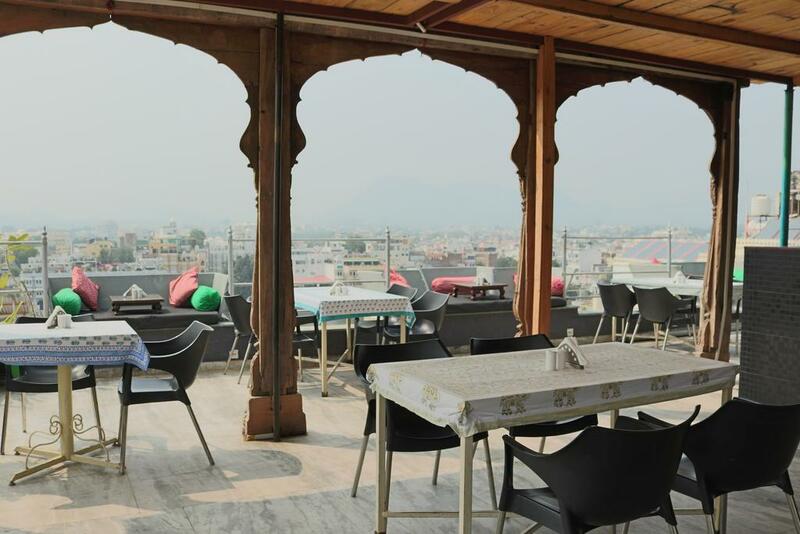 This hotel with family atmosphere is located in "Lal Ghat" (center of the old city of Udaipur), 5 minutes walk from Lake Pichola, the Jagdeesh temple, Maharaja's Palace as well as the small restaurants and the many shops that line the maze of streets connecting the various points of interest and lakes. Family/Child Friendly, Doctor on Call, Airport Transportation, Travel Counter, Breakfast Services, Recreation, Smoking Rooms, Room Service, Security Guard, Laundry Facilities. Basic Bathroom Amenities, House Keeping, Moisturiser, Complimentary Toiletries, Refrigerator Room, Desk, Ceiling Fan, Daily Room Cleaning, Balcony / Terrace, Air Conditioning Room. User reviews for "Pratap Bhawan Hotel Udaipur"